Achieving a first-page ranking on Google SERP is a herculean task. But then, it’s much easier to get your videos up there on page one. This can be done by having a solid Video SEO strategy in the backend. In fact, Google made this easier with a recent update. Now videos are 50 percent more likely to achieve first page ranking as a part of the blended results algorithm. If your YouTube videos are properly optimised, Google picks it up and puts it on the first page of Google search results. When you have put so much effort into creating your video, why not take a little extra effort to make sure it is not buried among the millions of videos online? This article will teach you how to make it to the first page of Google search results with the help of Video SEO. Video SEO is the art of increasing the quantity and quality of traffic to your video. Over the years, Google has become an expert in decoding textual content. But when it comes to videos, you need to give some additional information so that Google bots can make sense out of it. 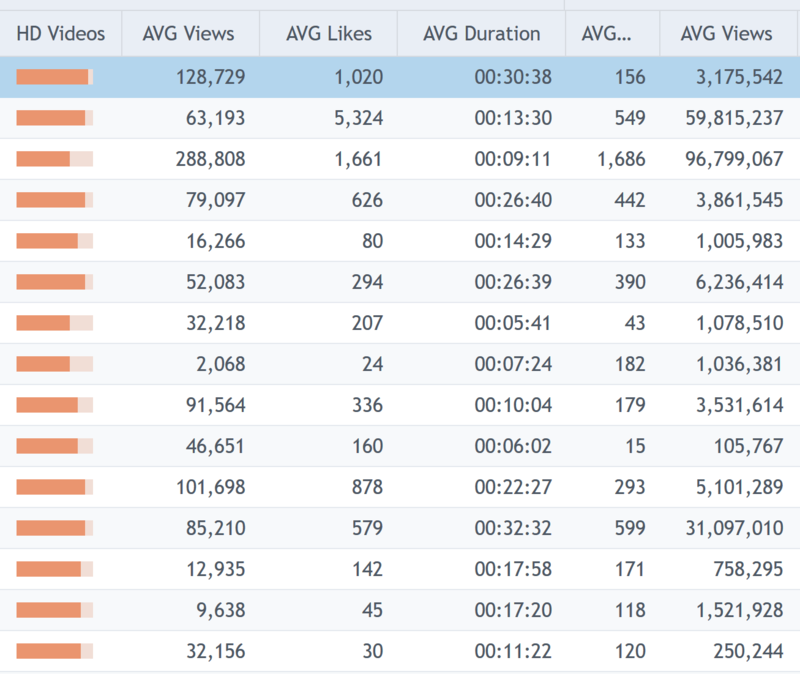 Here’s the catch, almost no one gives importance to Video SEO. They just produce a lot of videos and pray. But Google is not accustomed to reading videos as it does for textual content. So, you need to put necessary information in certain places so that Google can read and understand what the video is all about. Google then weighs the video against its algorithm and ranks it according to the level of optimization. Video SEO deals with all the 200+ ranking signals from Google along with a bunch of ranking factors from YouTube. Given below are the most important factors. User engagement: After the Hummingbird update, user engagement really started to boost the chances of ranking your video in Google. YouTube has always had User Engagement as one of the major ranking factors. Metadata: This includes information such as description, transcripts, tags, Keywords etc. Google anticipates the content based on the information given in these areas. The clearer the picture you give to Google, the more you contribute to Video SEO. Click through rate: Both Google and YouTube consider CTR as an important metric in SEO. Google gives preference to rich snippets and attractive thumbnails as it improves CTR and thus improving overall Video SEO. Here is a to-do list for optimizing your video according to Video SEO. Click on them to read each section in detail. How to find the video Keyword. Search for the video Keyword. The first step for optimizing for Video SEO is searching for a video keyword. Keywords that have YouTube results on the first page of Google are called video keywords. 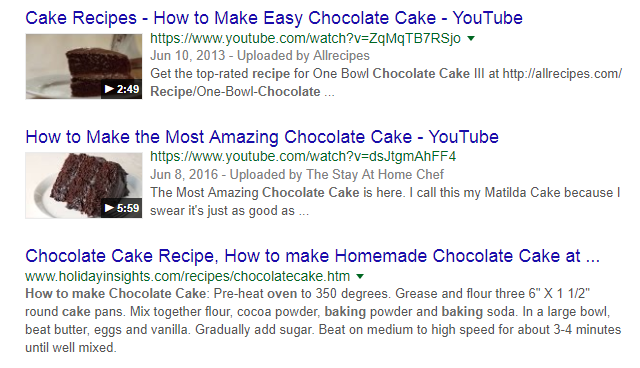 For example, you search for a keyword related to ‘bake a cake’. Go to Google and type ‘bake a cake’. 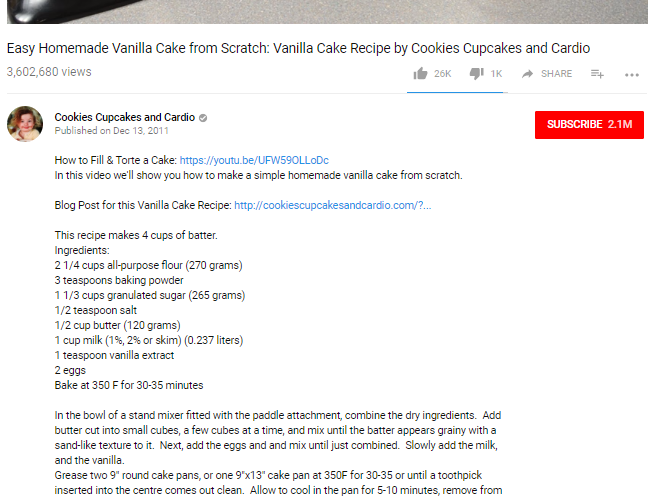 You will see a few video results on ‘Bake a cake’. These results are reserved by Google as ‘video keywords'. This can be your seed keyword. Type your keyword into the YouTube search bar and list down the suggestions.This is the best place to find your potential keywords as it gives you an idea of what people search for on YouTube. To get the different versions of your keyword, you'll have to type in each letter to see what comes next. Instead, you can use other tools to get all the variations in one place. 2. Use Google keyword planner to analyze search volume. By now, you would have got a huge list of keywords that rank in YouTube. Run them through Google keyword planner to find their search volume in Google. You can even use Google keyword multiplier to get even more ideas related to the keyword. Remember to tabulate all the keywords in a spreadsheet. It makes your work easier. Google trends helps in identifying search trends over a long period of time. 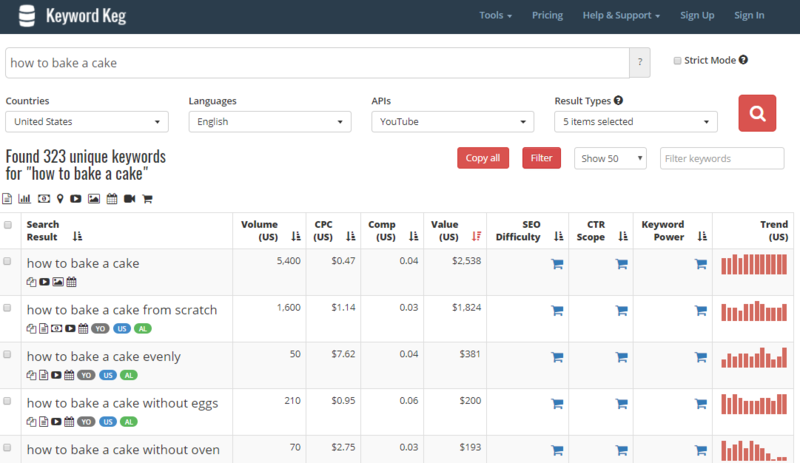 You also have a YouTube filter to analyze video keyword trends. Identifying keywords which are on a rising trend really helps ensure that your videos keep performing well for a long time. If you want to know if your video keyword research is successful, do a manual search of the list of keywords you have collected. You need to check whether the video keyword ranks in the first two pages. If you have found any videos corresponding to that keyword in the first few results of the Google search page, your hard work has paid off. Searching for a video keyword can be a long task. But it’s totally worth it considering the fact that Top 10 search results get 90 percent of the traffic. You can also choose an easier way to find your video keyword using a few paid online tools. Here are a few tools that you can try. This tool gives you detailed insights on the keyword like Volume, CPC, Price bids, trends etc. The tool starts with a price of $16 monthly and ranges to $28 monthly for an advanced plan. This tool takes a huge list of keywords straight from the YouTube suggest bar and makes your work easier. It also gives you basic information like search volume and Adwords competition. The tool starts from $48 monthly and ranges up to $88 per month for an advanced plan. YT Cockpit is one of the best tools for video keywords. 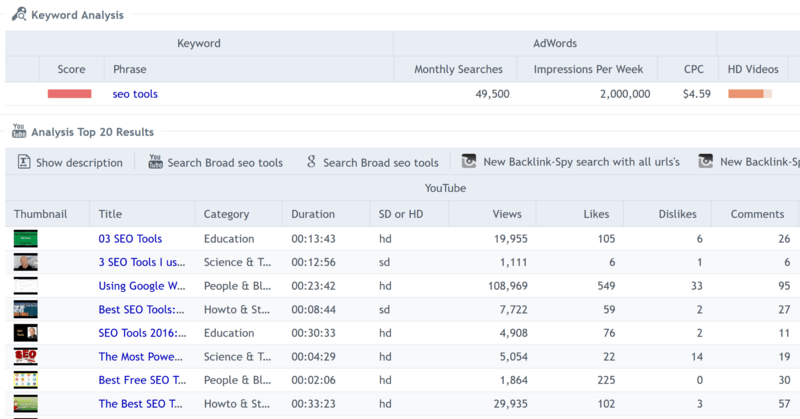 Along with search volume and CPC for each keyword, the tool also shows the competition levels for that keyword. It's available for $199 yearly and goes up to $799 per year for a more advanced plan. This tool is quite extensive and provides you more information instead of the mere search volume. It even gives you a detailed breakdown of the Google SERP factors including likes, comments, dislikes etc. Another way of getting keyword ideas and topics is from your competitor’s channel. One such tool which helps you analyze competitor’s performance is Tubular labs. This is a freemium software. This tool gives you a detailed idea of what your audience is watching when they are not watching your video. All you need to do is sign up for the YouTube dashboard and connect your YouTube channel to Tubular labs. Search bots can’t watch a video or listen to audio, but they do index text. Though a video has a title and tags, it is not sufficient information for Google to understand the video content. Transcripts are textual content of the video. They are situated next to the video or sometimes beneath it where it’s called closed captions. 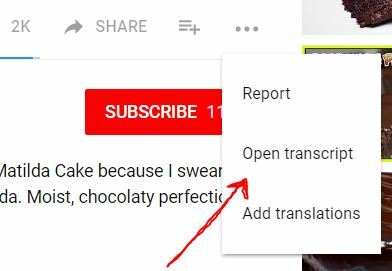 To access transcripts, Click the three dots below the video and click on ‘Open Transcripts’..
Where meta descriptions and tags fail to give the required detail, a video transcript holds a major advantage. It enables search bots to understand content on a deeper level. Discovery Digital Networks conducted a controlled study of captioning across 8 of their channels. It is found that adding captions to their YouTube videos has resulted in a 13.48% increase in views in the first 4 days and 7.32% lifetime increase in views. Videos tend to captivate audiences and keep them on a webpage longer. This improves the average “time on page” metric across your site. This means people are more likely to wander the site and discover other content they may find interesting. It adds to the SEO benefits. Placing a transcript is a natural way to insert your keyword. In fact, they act as blog content next to your video. When you place relevant matching keyword phrases in your transcripts, you give Google a clearer picture of what your video is about. Transcripts increase not only your keyword density, but also your keyword diversity. Thus, your video ranks for a multitude of relevant terms, instead of just the specific terms in your video description, title, and tags. Google recognises it and matches the keyword to people’s search query. A lot of people transcript their video with YouTube’s automatic captioning tool which works with Automatic speech recognition. Both Google and YouTube don’t index it. According to Google, ASR tools aren’t perfect. 1 out of 3 words transcribed or captioned are seen to be faulty. Instead of choosing tools for transcripts, it’s better to add it there manually. Google and YouTube gives so much importance to closed captioned videos that they have put it as a criterion in search filters. If you want your video available to those searches, you should consider captioning your video. Google and YouTube gives closed captioning a higher priority, because it fulfills more than just SEO. Here's a tutorial on how to create closed captions for your video. And, here is a resource that can help you with translating closed captions text into other languages. Many people stop with a one line description which is difficult to understand. When you upload your video in YouTube, ‘description’ is one important place where Google looks for the video’s information. By having a short description, you are missing out on a huge opportunity for ranking. Also link to your blog or webpage. This will act as a neat backlink for Google. After all, YouTube is the second largest search engine. YouTube Creator academy has covered an article on how to write good descriptions. It’s really worth a read! Check it out here! A video sitemap is a text file that contains all the data about your video. When you submit your sitemap to Google, you give the search engine basic information about your video’s content, your audience etc. This is a reliable way for Google to learn about the videos in your website. If you are using Wordpress, you can consider using a plugin. You can buy a plugins like Yoast to make this happen. After you install the plugin, you just specify the type of posts that contain videos which you want to index and your job will the done. The rest is taken care by the plugin itself. 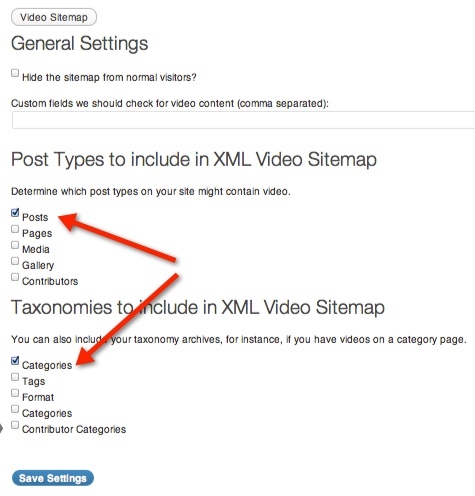 Another method of creating a video sitemap is by using a sitemap generator. There are a lot tools from which you can generate a quick, but excellent video sitemap. A1 sitemap generator is one such tool which is most widely used. Here's the tutorial on how you can use the A1 sitemap generator to create a video sitemap. We all know that video thumbnails that seem more appealing and relevant gets more clicks. According to an article in Search Engine Land, rich snippet content gets an additional 30 percent click through rate than a normal video. So nowadays you need to create snippets which gives an overall idea to the viewer and Google on what the video is all about. 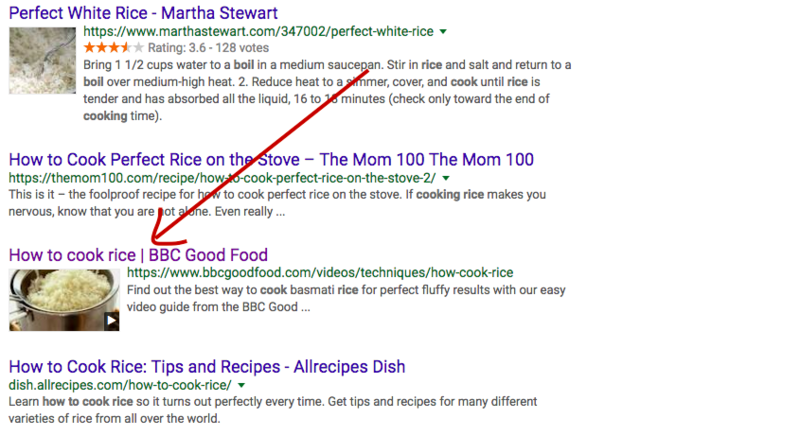 Here are a few examples of rich snippets displayed in the first page of Google. As you can see, you can change links, the thumbnail and even the text beside the thumbnail in a rich snippet. Follow these steps for creating a video rich snippet. Upload your video using schema.org markup in the page’s HTML code. Every video has a set of data which needs to be read by the search engines and communicate to the people. Schema.org structures data in a way major search engines like Google, Yahoo and Bing understands. You can use this link to generate the source code for your schema.org markup. Matt Cutts (Head of Google webspam), has given a lot of insight in rich snippets and Schema.org.I recommend you to watch it in the video given below. 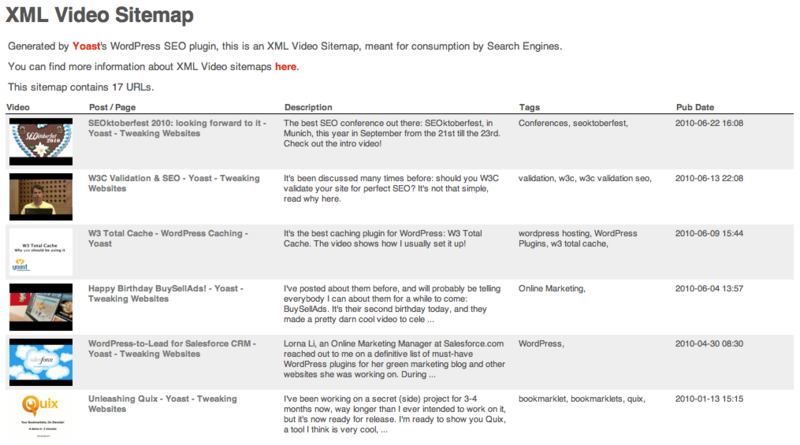 Create a video XML sitemap. As mentioned before, you can customise your video display and link preferences using a video sitemap. I have covered this in detail in the previous section. Alert Google by submitting sitemap to Google Webmaster Tools. Instead of waiting for Google to crawl on your site and get the required information, you can directly submit the video sitemap to Google Webmaster’s tool.Here is how you can do it. 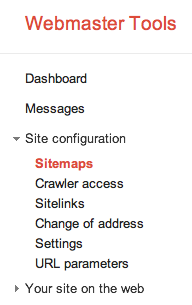 Enter your sitemap into the text box that appears (/system/feeds/sitemap). You can check your status of your videos on video.google.com. It tells you whether your videos are indexed or not. Check this guide by Google if you further want to know about this. Encourage your viewers to share your videos..
YouTube considers likes, comments, shares and interactions of a video as a major ranking factor. No matter how good your video is, your video will rank only if people interact with it well. Make sure that you encourage viewers to leave a positive feedback so that Google will value it accordingly. Your promotion strategy again depends on what you want to promote. Do you want to promote your blog with the help of a video or do you want to only promote your video? Both techniques follow the same procedure. The more efficiently you promote your videos, the more the number of backlinks you gather. Indirectly, it contributes to your Video SEO and your rank improves over time. In order to achieve link building, you need to consistently work on your videos. You can repurpose your video into smaller videos or any other medium (slideshare, infographic, image) etc and link it back to your main video. You can create teasers of your videos and put it on social channels and link it back to original video. You can consider posting the same video with different variations of keywords in different video distribution channels. Having an appealing thumbnail can help a lot. A good thumbnail equals to more CTRs. It can also lead to more social shares. Both these factors lead to better ranking. You need to choose thumbnails that looks vibrant, colorful, storytelling and branded and definitely not click-baity. If you are not satisfied with the way your thumbnail looks, create a YouTube custom thumbnail. Some simple practices can also make a significant contribution to Video SEO . Here are a handful. You can include your competitor’s name as a keyword while adding tags to your video. This improves your discoverability when people search for your competitor’s video. Some SEO experts believe that longer videos on YouTube can get higher search engine rankings, the same way longer text content rank higher on Google than shorter content pieces. So, make sure you hit the sweet spot in terms of the video length. Trending topics and videos are a powerful combination. Google considers trending content as a ranking factor. Making videos around the topic can gain you a quick traffic. Make sure you include the word ‘video’ on a regular basis throughout any metadata, as many searches could include the word and it will increase your chances of showing up on those queries. If you want to direct the traffic to your blog, consider putting your video very near to the title. Google associates the video with the title given in the page. 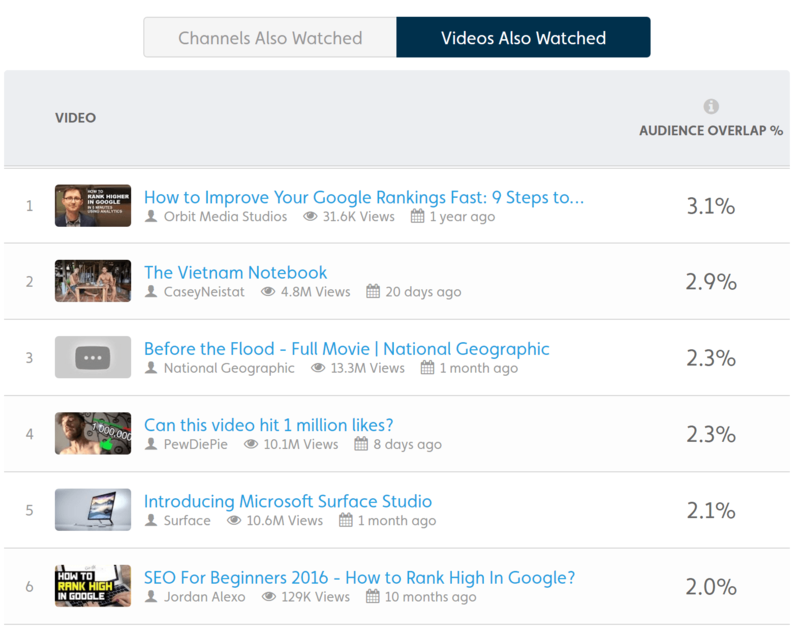 This will increase the discoverability of your video as well as your blog article. Make sure that you name your ‘file’ with the video keyword instead of some random filename. Google even reads these signals. 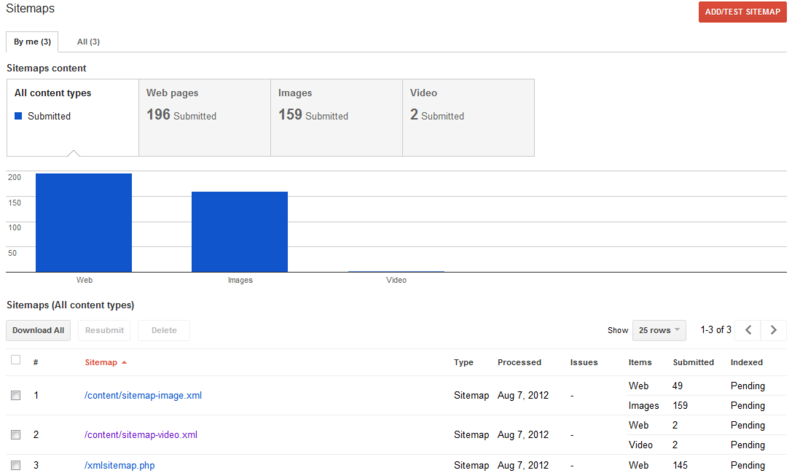 Video SEO is vast. Since it is a collaboration of both Google and YouTube algorithm, it gets even deeper. You’ll need to find the intersection between the two, to gain your advantage. Google keeps updating its algorithm on a regular basis. It is difficult to anticipate where the algorithm is heading to. But everything is favouring videos now. After all, people see videos as the most efficient form of content. The statistics are proof enough. To know the more possibilities of Video SEO, you have to keep on experimenting constantly and check for signs that contribute to it. Do you know any new Video SEO practices? If you do, please let us know in the comment section.